What happens when students at NYU figure out how to "Reply All" to the entire campus? 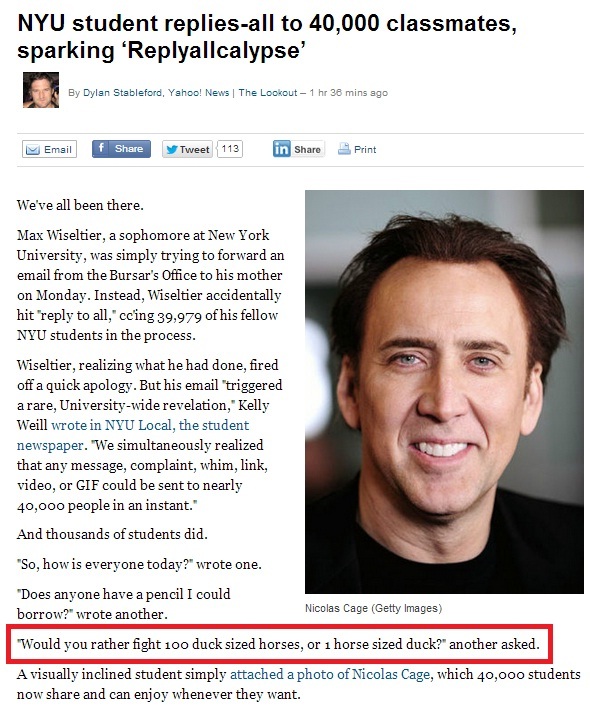 Well, you get students pontificating over whether it would be better to fight 100 duck sized horses or one horse sized duck. I would take the former. I am sure the duck sized horse would crush me.